The more you look into Global Scamming the more you find it’s at the heart of international corruption and greed. All the most powerful people both politically and economically are wrapped around this fraud for their own selfish gains. The industrialists were in for the profit as were the academics for their grants while the commies for the redistribution of wealth/power. The main target of this crime is coal which makes the people the big losers. Back in the mid 90s major Dem fundraiser Ken Lay of Enron fame and algore began looking for ways to enrich themselves while weaning themselves off their oil fortunes. Enron was the Bernie Madeoff of their time for running an energy Ponzi scheme fleecing old ladies out of their pensions. Prior to then, Enron was a major investor in natural gas and was looking for a way to drive up the price and demand. He and algore began their carbon credit scams to offset pollution from sulfur producing sources such as coal plants that supposedly caused acid rain to drive their costs up. This was a very good source of profit selling credits from air, when they began to expand it into making all carbon production needing a credit and how massive a market it would be. Ken Lay became an author of the Kyoto Agreement where he estimated there would be a Trillion $$ world market in carbon trading per year. They brought in Goldman Sachs as one of the major trading houses and Oil Companies as investors for their newly formed research facilities CRU, who would make CO2 a pollutant. Coal power plants began installing more powerful scrubbers to the point they became crystal clean only emitting steam and CO2, a harmless gas. The problem w/coal for the power companies is it’s too cheap. There is nothing to building a plant since it’s a basic boiler and steam engine right out of the 1900s. Coal is unlimited as well as easy to produce and transport. Companies like GE and Westinghouse need more complicated plants like nuclear, gas or windmill to generate more profits, so they needed a way to limit coal power. The oil companies were late arrivers when they began to see the writing on the wall w/the envirothugs trying to shut them down through protest and legal harassment. They also believed they were at their peak oil production and were looking for more profitable sources of income as the oil began to drop off. They believed their wells were going to dry up by 2020 so the carbon credit market looked like a very profitable source as well as the future development of natural gas. If they could force out cheap coal they too would be at an advantage along w/algore that was still heavily invested in Occidental Oil. Their main problem was to make carbon or CO2 as big an energy leper as nuclear. How in the world would they sell people on the fact that the very air they exhale is going to kill you, ridiculous! They realized they had people believing acid rain was caused by industry and had motivated the enviros, who were darlings of the media, but the acid rain had been solved. In came global warming and its connection to man. They listened to the theory and looked at those manipulated formulas to hatch the World’s Largest Crime. 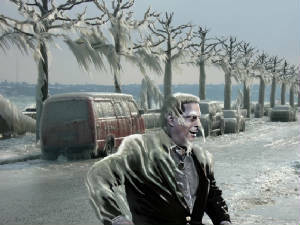 Algore then made his movie Incoherent Lies. They knew the power of Hollywood so they made a scare movie in the vein of Three Mile Island w/the same fabrications to scare the people into believing there was a connection between CO2 and Global Warming. Gore knew it worked for Michael Mooron and 911 so why not CO2? Their goal was to make energy production and especially coal so expensive they would have to use natural gas, nuclear, sun or wind. Not sure how they could convince America to use nuclear, perhaps Gore could sell us on that, yet they were pretty sure that the enviros could push the shutting down coal which they did. Cap and Tax is pointed directly at coal and is more favorable to the other more expensive sources of energy. This is a convergence of all the powers of the world for immense amounts of $$. You have the oil companies in bed w/the enviro-terrorists as well as politicians/commies and Wall Street. They all are after one thing the Trillion$ coming out of your pockets heading for the Turd World while be skimmed at every step of the way just like Food for Oil. Some African Mugabe will be given a few $Billion to help his people who are carbon poor. Of course they won’t see a dime yet Mugabe will be buying a new palace and plane. When Mugabe gets his check from the Bank of France it’s been laundered for the UN, before sending it to him so everybody gets a cut. The UN received it from the District of Corruption who sliced and diced that $$ every way imaginable. Meanwhile you’re writing your check to Uncle while paying 5 times what you should be paying for coal power, since your funding expensive solar, nuclear and windmills. We are in the middle of a horror film produced by algore and written by Enron founder Ken Lay w/$oro$ directing. We need to throw these bums out and power this Country w/coal. It’s cheap, clean and efficient. The scrubbers today remove all the airborne pollutants making it an ideal energy. It is easy to produce, all you have to do is mine it or dig it, crush it then ship on rail cars. You’re turning rocks into power w/no spills or mess, yet is by far the simplest form of energy ever devised. Thanks to this GW scam we are being led like sheep to the slaughter into paying for higher energy bills as well as over $Trillion a year in additional taxes for their bottomless corruption. Don’t kid yourselves, this is all about stopping the use of cheap coal powered electricity. Al Gore, Wall St, Oil, GE and DC all stand to make fortunes by convincing America coal is a leper when it is the hardest working energy on the planet.